I have 2 little ones at home during the day and we love to have a “crafternoon” at least once a week. 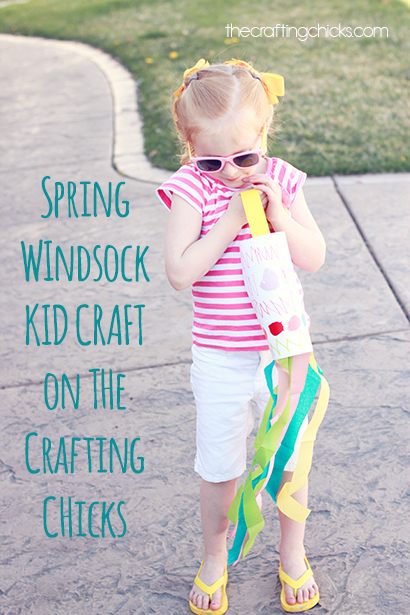 I love to just sit with my kids and let them get crafty. I love watching their little hands work. They make funny faces when they concentrate hard on their coloring…and I love it. 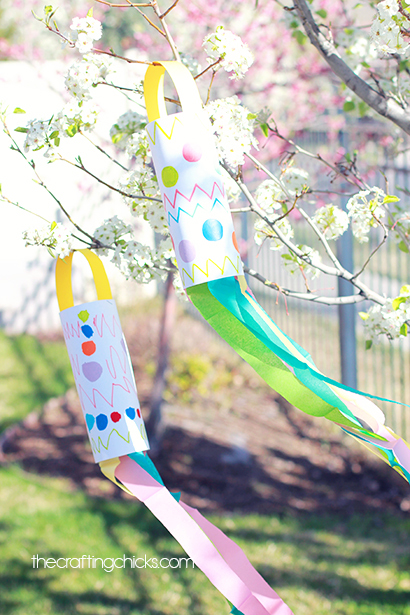 This week we made spring windsocks. We used the amazing Painters Markers from Elmers, spring colored tissue paper, and Elmer’s Craft Bond spray adhesive for this project. 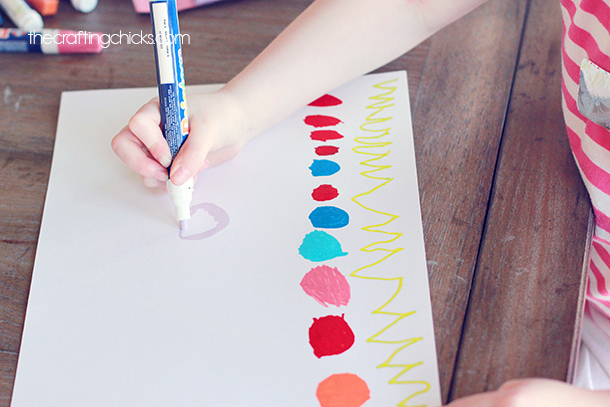 Using an 8.5 x 11 piece of white cardstock, we created a pattern using the Painters Markers. 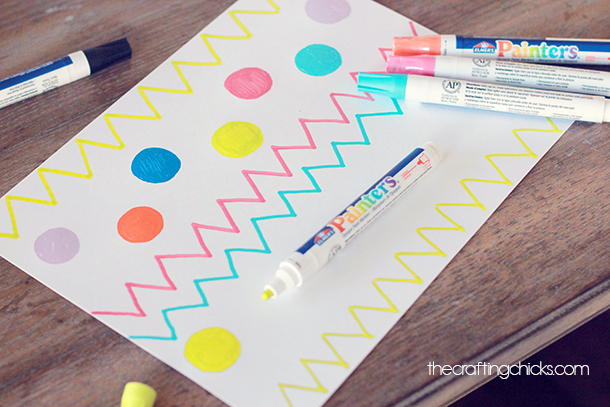 They loved drawing zigzags and polka-dots. 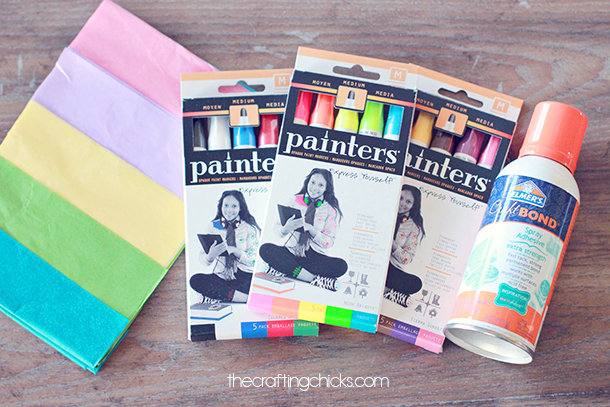 These markers are amazing…you can paint on pretty much anything! They are permanent so pull out those paint smocks! 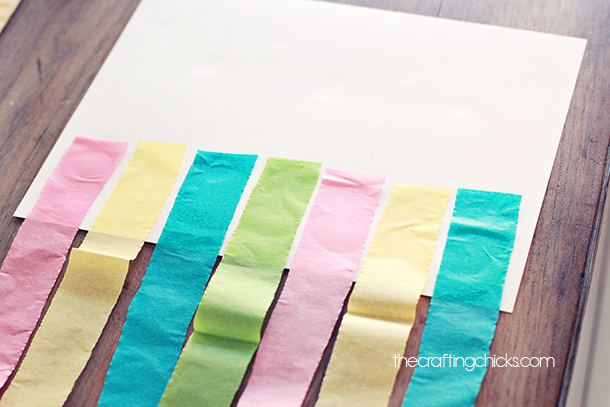 After the paint dries, we used the Craft Bond spray to attach streamers of tissue paper to the back of the picture. 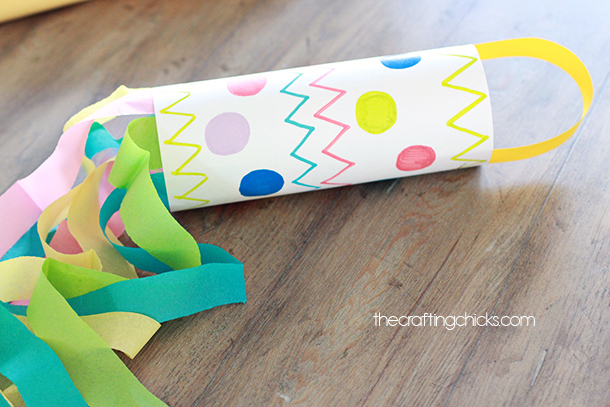 Staple the windsock into a cylinder and add a handle at the top with a strip of paper. They look so pretty blowing from our trees. This post was sponsored by Elmers. This is such a cute idea! MY daughter has been wanting to decorate our front porch for a while now and this would just be perfect!